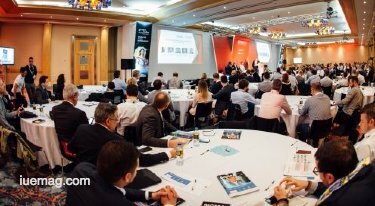 SiGMA Summit 2017 in Malta Expected To Break Many Records. 1000 Free Flight Tickets! SiGMA Show shares with iU eMagazine their journey of how they grew from where they were year ago to where they stand now. 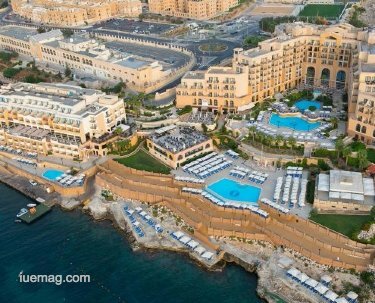 They also share with iU eMagazine readers of what they could expect from the 2017 edition of this Summit happening in Malta in November. You might be the one of them to win one of their 1000 Free Flights this year! Read what they have to say and get flying to Malta this November 22-23, 2017. From a simple bedroom project to a buzzing show that has doubled in size over three years and shows no signs of plateau: this has been our humbling journey so far; a roller coaster that has connected many entrepreneurs and gained a bit of respect from the elite of igaming. 2017 is the very first year where we’re embracing the challenges and opportunities of a global show, with growing interest from the heavyweights of the industry across continents. The conferences worked marvels in 2016, with a number of partnerships and a new cabaret-style layout room – the hall was packed from 9am to 6pm. We plan on establishing more partnerships, and apply even stricter guidelines for the best speakers. We’re also changing the way content is presented by reducing the run-of-the-mill panel, at times mind-numbing discussions with more engaging content. Come SiGMA17, expect more fish bowls, speed dating and better interaction between speakers and audience using latest technologies and apps available. Harsh as it may sound; we’re even tempted to have the speakers rated live – power to the audience! Inspired by the movie 300, last year we gave 300 flights to affiliates. The initiative went down very well with affiliates and operators, so this year we’re stretching our budgets by inviting 500 NEW affiliates and also 500 top C level executives, mostly CTOs, CPOs, CEOs, COOs – to keep the B2B side of the business equally busy with a fresh bloodline of potential customers. Exhibitors are encouraged to invite VIP guests, flights on us, and throw a string of hospitality events around SiGMA. After all, Malta lends itself quite well for hospitality. Our launch of the SiGMA startup pitch went really well, with some startups landing lucrative offers. We intend keeping our unique, swift format of a three minute presentation, followed by a seven minute grilling session with the investors. This year, however, we’ll invest heavily on this front by giving startups who qualify the possibility to, not only pitch, but also get exposure on our magazine, website, exhibit at the show at no cost. We will also offer office space t our new Gaming Hub, Msida Skatepark, Malta, for a full year to the top three startups who wish to use Malta as a base for business development or even relocation – the office space comes with full consultancy from a team of grizzled industry veterans. Arguably the toughest of decisions we had to endure to date – stay where we are but be unable to grow the show with new exhibitors or move elsewhere? Hardly anyone wanted to release their booking for 2017, which meant we literally couldn’t sell a single stand space to a new exhibitor. Everybody has understood the power of being a part of our exhibitions. Delegates want to meet existing but also new exhibitors. For us it was important to keep the show cosy and fun but at the same time enable it to grow, with new exhibitors. 2016 was already a bit of a squeeze in terms of crowd so we decided to go for a bigger venue with an exciting set up branded ‘iGaming Village’, with six themed bars, three themed restaurants and two themed lounges – all free of charge to all delegates. Why would you want to stay elsewhere, with the iGaming village brimming with activity? SiGMA opened its doors for recruitment too, paving the way for a careers convention the last four hours. Hundreds of qualified attendees roamed around with resumes in hand. We’re confident this feature will gain even more momentum moving forward, with more attendees and more sponsors/exhibitors expected to involve their HR department. In an unprecedented move we’ve decided to team up with the most respected arbitrage out there to vet operators. Each operator that wants to buy stand space needs to be approved by at least two judges. We want affiliates to walk across the SiGMA floor plan knowing that all exhibiting operators are genuine, that the traffic sent to them will be handled well, that commissions are paid in full and in due time. We also want to offer a level playing field to operators – why should a law-abiding operator have to compete with a crook for traffic? We’ve worked hand in hand with the Maltese government, the MGA, Gaming Malta as well as GamCrowd, KPMG eSummit, the BiG Foundation, the Malta Community Chest Fund and others, to create a unique networking environment where people enjoy discussing business and build long-term working relationships. We are proud to have iU eMagazine and its Summits World as our Online Media Partners for this event. We look forward to seeing you all. Should you have any questions or queries you can reach out to iU eMagazine at sales@iuemag.com or tweet #iUSiGMASummit with your questions and you can be sure to get attended. We hope to see you at the venue. Any facts, figures or references stated here are made by the author & don't reflect the endorsement of iU at all times unless otherwise drafted by official staff at iU. This article was first published here on 5th September 2017.